What happened to Monica Quartermaine (Leslie Charleson) on General Hospital? Know Her Age, Net Worth. General Hospital(GH) is an American soap opera that premiered on Fools Day of 1963! Yup, you read that right, 1963. The TV show made it on the Guinness World Records for being the longest-running American soap opera still in production. Universally, it’s number two. General Hospital’s plot mainly revolves around two families; the Quartermaines and the Spencers. One of the Quartermaines is cardiologist Monica Quartermaine. The role of ‘Monica’ has been portrayed by Patsy Rahn (1976-1977), Leslie Charleson (1977 to date), and Patty McCormack (2018). What happened to Leslie Charleson (Monica Quartermaine) in General Hospital? Of all the General Hospital current cast members, Leslie Charleson has been on the show the longest. However, in the recent past fans realized they weren’t seeing her at all. And so questions like “What happened to Leslie Charleson?” arose. Well, Leslie injured her leg when she tripped over her dog, Riley Rose. And the injury makes it impossible for her to shoot any scenes at the moment. But meanwhile, GH has cast Patty McCormack to play Monica Quartermaine scenes awaiting Leslie’s recovery. Quick recovery Leslie and hope you come back soon! 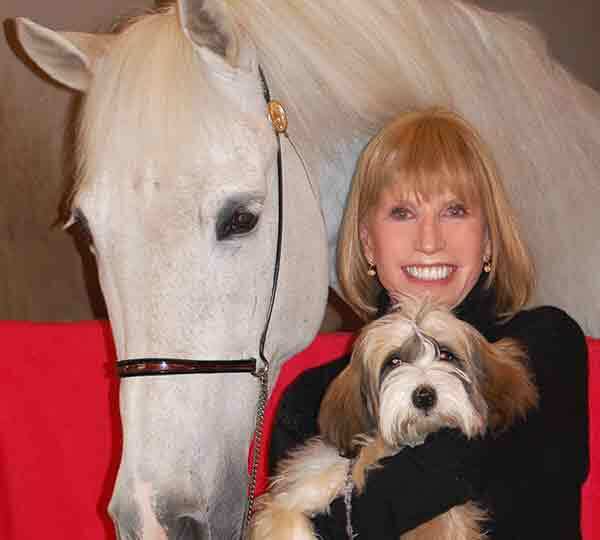 But since we’re talking about Leslie Charleson, why not talk about her alleged plastic surgery. Leslie is rumored to have undertaken two cosmetic surgery procedures, a facelift and botox injection. The rumors started after General Hospital fans began noticing a few changes on Monica Quartermaine. For instance, she appeared to struggle to make facial expressions and to audibly mouth out words. Fans initially thought Leslie had a medical condition and took to the internet with their concerns. Around the same time, numerous before and after photos of Leslie Charleson started popping up. Now the story goes, Leslie got a facelift and a botox injection at the same time. And apparently, that’s a big no, no because one’s face becomes stiff! But it would seem for Leslie, no wrinkles and getting a youthful face was worth the risk. So, how old is Monica Quartermaine? Well, Leslie Charleson was born on February 22, 1945, in Kansas City, Missouri. Leslie otherwise, Monica Quartermaine is 73 years old. Her parents were Mr. and Mrs. David M. Charleson. Leslie had a sister named Kate Charleson who died in 1996. Kate was also an actress. On April 1, 1988, Leslie Charleson got married to businessman William Dems. The couple divorced three years later in 1991. Leslie, who has no children, never remarried. Leslie Charleson’s acting career began in 1964 on a soap opera named A Flame in the Wind (1964-1966). She starred in other daytime soap operas like ‘Love Is a Many Splendored Thing’ before moving to primetime. Here she went on to guest star on many TV shows including Ironside, Happy Days, The Streets of Francisco, and others. Leslie Charleson also appeared in films including The Day of the Dolphin (1973) and Revenge (1971). In 1977, Leslie moved back to daytime TV to star in ABC’s soap opera, General Hospital. And due to her long tenure in the show, she has received four nominations for the “Daytime Emmy Award” for the role of Outstanding Lead Actress in a Drama. Caption:- Leslie Charleson’s Net Worth has not revealed Yet. Leslie Charleson’s salary has never been made public. And there’s a lot of controversy regarding her net worth. Therefore, we cannot say for sure how much Leslie Charleson is worth. But she’s a millionaire!! READ MORE: Maura West Husband, Married, Divorce, Children, Net Worth, Age, and Salary. Know everything about General Hospital’s Steve Burton wife, children, net worth and age. 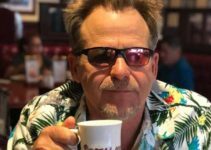 Kin Shriner Wife, Married, Children, Net Worth, Age, Salary, Gay Rumors. Maurice Benard has a beautiful wife, Paula Smith. Know his net worth & age. Why he left General Hospital?